Writers of Color • D.C.
I’m a soon-to-be medical student who tries to write stories that allow complex science and medicine to be more accessible to the general public. I currently work in the Washington Post’s Style section as a digital editor/editorial aide. My main areas are classical music and dance and I am basically a cross between a web producer and editorial assistant. I produce stories for online, add multimedia elements to features, create content for the web and conduct photo research. I also schedule all concert reviews, serve as the liaison between the paper and freelancers and manage the editorial budget. In addition to writing, I also have social media management experience. I served as a podcast intern for the Black Girl Nerds podcast, doubling the number of Twitter followers within a few months. I also started the Black Girl Nerds Newsletter, which I designed and wrote twice a month. I also update the Post Style Facebook page. In 2014, I launched a newsletter called All Black Girl Everything with my friend, Niesha Miller. We send out the newsletter three times a week and it contains stories that are by, for and about black women and girls. Awarded a fellowship to train on issues of climate change adaptation is St. Louis, Missouri. Awarded a fellowship to report on voter’s rights in the Asian American community in the Washington, DC area. Awarded a fellowship to report on mental illness in the Asian American community. Awarded a grant to a multimedia documentary series on mixed race Asian Americans in the DC area. Awarded a grant from the Public Radio Exchange (PRX) to produce a story on stylometry (math) and art. 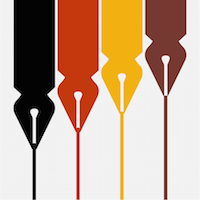 Full scholarship to the 2014 Wesleyan University Writer’s Conference for creative writing. A two time recipient of the Davis Projects for Peace – a $10,000 grant to launch projects that promote peace in communities. Funding awarded to Colby students to pursue an internship related to journalism in the spirit of investigative journalist Elijah Parish Lovejoy.